The Instructor Development Course or I.D.C. will show candidates how to implement and apply the PADI system in Class Room, Confined Water and Open Water Conditions. 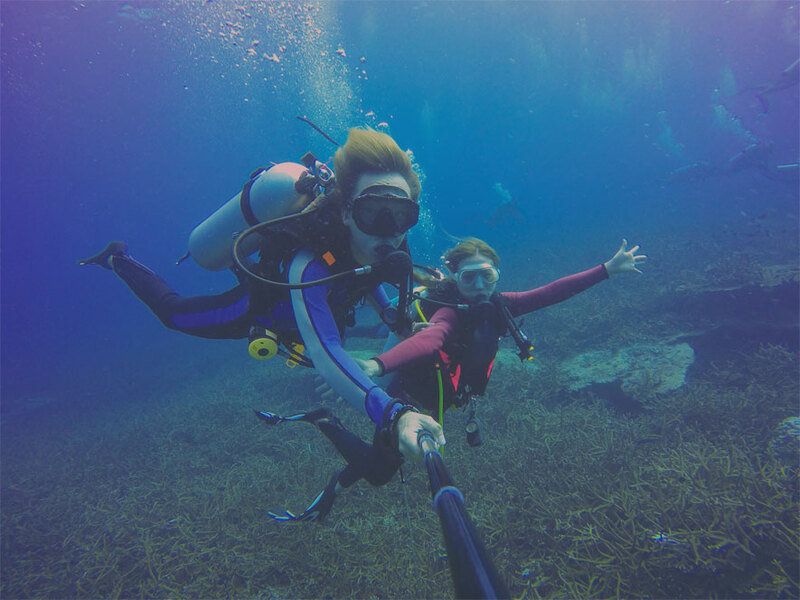 First and foremost, the applicant learns to be confident at providing professional training in a Fun and Safe way for all involved in diving courses. The IDC will be conducted in a minimum of 7 days to allow our candidates to gain the maximum amount of training and professional guidance in their personal development towards becoming a PADI Instructor. All IDC begin with independent study and preparation at home. In order to gain the maximum from the IDC applicants are expected to complete all knowledge reviews from the Instructor Development Course Candidate Workbook. How to get ready for your I.D.C. *to be owned by the candidate and up to date, according to PADI Standards. *please contact us to discuss what you already have so that we can assist you with the remaining materials. After becoming an O.W.S.I. (Open Water Scuba Instructor), you will be able to conduct the entire range of PADI Programs from Discover Scuba Diving to Divemaster, you will be able to find a Diving Industry job position in about 87000 Dive Centers or Dive Resorts World Wide. *If You Didn’t practice your skills for a while, we urge you to contact us to arrange attendance of a full Skills Circuit Session with one of our Instructor. 3. Ensure you meet all the pre-requisites for the I.D.C. The I.E. is a 2 days evaluative program that test the Instructor Candidates Teaching Abilities, Dive Theory Knowledge, Water Skills Level and the Understanding of the PADI System, Philosophy and Professionalism. *PADI I.E. are standard evaluation that are conducted by Instructor Examiners from the PADI International Offices. Demonstrate Professional Aptitude, Attitude and Actions during all phases of the I.E. *we highly recommend that you choose a package including the E learning material has it will ease nicely the academic part of the IDC. *The IDC Pro OWSI Kit and the EFRI Start-up kit are mandatory, you may choose to purchase them yourself or with Scuba Moraira. Or Anything else you are unsure about?